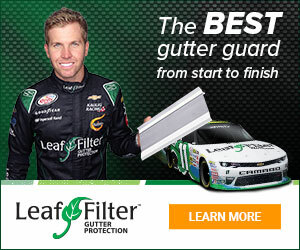 LeafFilter North in Cleveland, Ohio - Great Service! On time professional and very pleasant to deal with. Great work and he was done before I knew it. THUMBS UP ACROSS THE BOARD! – Willie F.
LeafFilter North - Total waste of time; sales pitch galore; product does not work; high pressure! LeafFilter North - Excellent Work! Hi Lorraine – We have every desire to address your concerns. Our team has scheduled an inspection and water tests for Tuesday morning and will discuss next steps following the review. Thank you. LeafFilter North in Virginia, Minnesota - I Highly Recommend LeafFilter!